On the penultimate night of the ASA National Winter Meet, there was a British record double in the Women’s 100m Breaststroke final, while Aimee Willmott wins her fourth medal of the Meet. 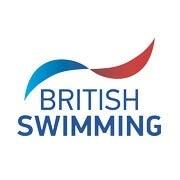 Molly Renshaw set her second British record of the Meet as she took gold in the Women’s 100m Breaststroke. The Loughborough University swimmer looked strong as she powered ahead of the field to touch the wall in 1:05.22, beating the previous time of 1:05.39 set by Sophie Allen in 2013. Speaking after the race, a delighted Renshaw said: “I am actually really surprised after that swim. I wanted to go under 65 but I’m not really suited to sprinting and I’m really pleased with that. 50m Breaststroke British record holder, Imogen Clark (Derventio) took a full second of her personal best to take silver in 1:06.35, while World Junior bronze medallist in this event, Katie Matts (Stockport Metro), took bronze in a lifetime best of 1:07.13. In the same final, Freya Anderson (Ellesmere College) touched in 1:08.36 to set a British junior record and take home the junior gold medal. Annabel Guy-Johnson from Royal Tunbridge Wells took home the junior silver medal with a time of 1:10.51, while City of Sunderland’s Rachel Taylor was third in 1:11.15. Jay Lelliott, who took the 400m Freestyle gold on the opening day in Sheffield, took control early in the fastest heat of the Men’s 1500m Freestyle, extending his lead over the final 500m to break the English record set in 1995 – when Jay was only 10 months old – to take victory. The 20-year old ultimately touched in 14:36.49 to become the second fastest Brit of all time in the short course pool behind British record holder David Davies (14:32.56). After the race, Lelliott said: “I’m pleased with that although I sort of had my eye on the British record if I’m honest. “My nerves got the best of me a little. I went out ridiculously fast and at about the 1100m mark I could really feel the lead in my legs. The Bath University swimmer was joined on the podium by Loughborough University teammates Tobias Robinson (14:39.48) and Timothy Shuttleworth (14:41.72), who both touched inside their personal best times to take silver and bronze respectively. Nathan Hughes (Hatfield) set a four second personal best as he touched the wall in 15:26.04 to take home the junior gold medal. Max Muprhy (City of Milton Keynes) took junior silver after his heat swim of 15:49.61, while Luke Turley (Hatfield) rounded out the top three junior swimmers in 15:51.80. Aimee Willmott took her fourth medal of the Meet with gold in the Women’s 400m Freestyle. The London Aquatics Centre Performance Programme swimmer looked determined throughout the race, extending a lead of around two seconds over the second half of the race to post a season’s best time of 4:02.34. City of Glasgow’s Camilla Hattersley won silver in a new lifetime best of 4:04.17, while World Junior Championship medallist, Georgia Coates (City of Leeds) took the final place on the rostrum in a personal best 4:04.73. Annalea Davison won the junior gold medal after setting a time of 4:16.36 in this morning’s heats, narrowly missing out on a place in the B final. Davison’s Newcastle teammate, Emily Large, won silver in 4:18.06, while Commonwealth Youth Games medallist Tazmin Pugh took bronze in 4:19.82. After a strong breaststroke leg, Tristan Slater, who took gold in the 200m IM on the opening night, pulled away from the rest of the field and held onto this lead to take gold in a new lifetime best of 54.19. The Millfield swimmer was joined on the podium by silver medallists Brian O’Sullivan (55.73) from Loughborough University, who set a new Irish record of 54.93 in the heats, and Carnforth’s Joshua Thompson touched third to win bronze a new personal best time of 56.00. Hatfield’s Nathan Hughes won junior gold with a heat swim of 59.12, while silver and bronze went to Maidenhead’s Thomas Dean (59.36) and Sim Trafford’s Jack O’Brian (59.78) respectively.